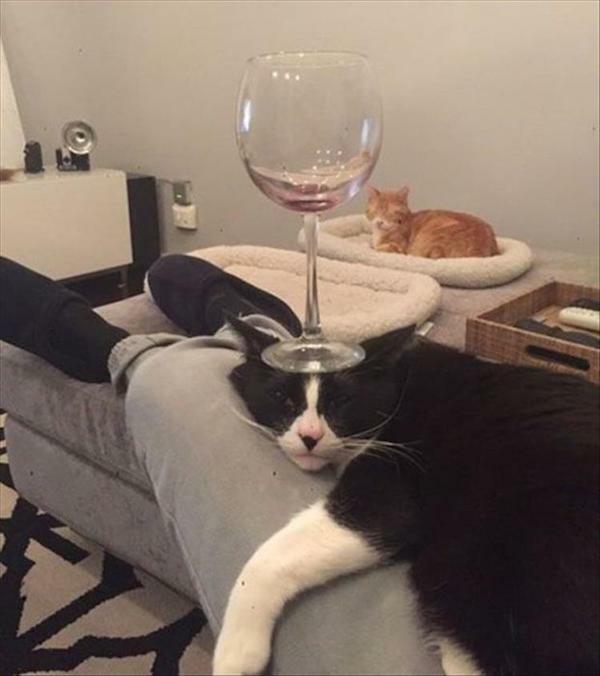 I would like to introduce you to my cats, that’s Ginger over there and this is Coaster. Hello!! Relaxing with kitties and red wine…my type of evening. Wow, just being a tad nosy…is that an old-style camera with a metal back for a plug-in flash bulb? Nice! Kinda looks like it, huh Lsamsa. I think next to it might be some sort of Super-8 movie camera, too!